I have to admit, when Millwall got their first goal Tuesday night I was bricking it. It was very easy to see history repeating itself and, like we did against Brentford and Ipswich and Leeds and Norwich. Play well in the first-half, go a goal or two ahead and then get pegged back. This feeling of dread was further exacerbated when ‘Wall spurned several good chances in the second-half. But we managed (eventually) to kill the game off. 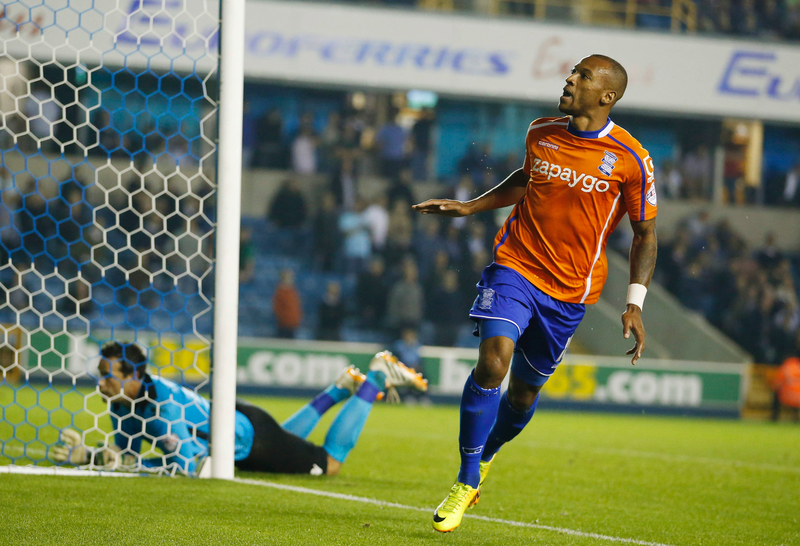 Lee Clark brought on a second striker in the form of Wes Thomas (a pretty positive move, seeing as the self-proclaimed experts often hail LC as an uber-defensive manager) and that is what ultimately got us a win, as the “Wes Pele” grabbed our third goal which killed the game off. There were still things on show which need to be improved on. Our ball retention at times was abysmal, particularly in the second-half, we did fall into that all too familiar habit of sitting deep and inviting pressure onto ourselves when ahead and at times there was a glaring lack of understanding between Darren Randolph and his defenders (as shown by the first goal). But Clark made a couple of changes; he brought on Will Packwood to help deal with the obvious aerial threat ‘Wall possessed, and as mentioned added Thomas who enabled us to pressure Millwall higher up the pitch and ultimately have us the tools to kill off the game. The optimist in me hopes that we may have started to turn a corner and that after a succession of collapses with the nadir coming in that woeful last half-hour at home to Fulham at the weekend, that we have gained some resilience needed to see out games. The pessimist in me fears that we may have got lucky, that for once the chances Millwall were able to create in the second-half like so many other teams have created before them didn’t go in our goal. More generically, a part of me agrees with Lee Clark when he suggests there isn’t a fat lot wrong with Blues; we have been playing well for sizeable chunks of most games this season but individual errors and what he refers to as “mad spells” are what cost us points. But the pessimist says that if we are playing relatively well but not getting enough points, how many points will we get if we ever start playing copiously badly? People are saying that winning last night has kept Lee Clark in a job; I don’t know if that is true, but there were rumours before Tuesday that he was about to be given the chop once Peter Pannu departed today. However by the looks of things there will be no sacking before the Charlton game at the very least – whether his current employment is down to the fact we did manage to get a win or whether the rumours going around were generally way off the mark I don’t know. 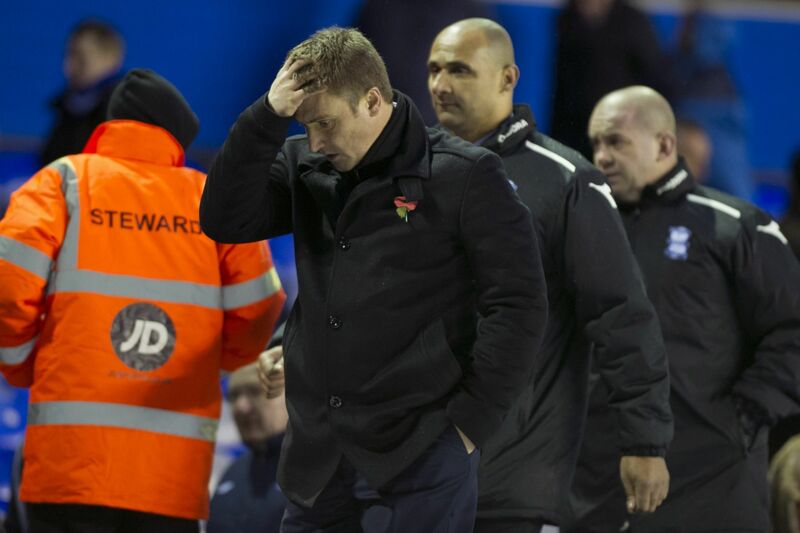 Lee Clark is a limited manager and some of his decisions seem downright baffling at times. But as I write this we are three points clear of the drop zone after ten games; if we are three points off the relegation zone after forty-six games then I will bite your hand off. Survival is all I am hoping for this season; whilst we stay above the bottom three then it’s a job well done. All those doom merchants spouting that we are doomed to relegation and the feeble minded people who say “it can’t get any worse than it is now”; trust me, it really could. We aren’t “doomed” (crumbs how can any team be doomed to relegation after two months of a season, particularly when said team is outside of the bottom three?) and it can get much worse; ask anyone who watched us in the late 80s. In fact, just think back to how bad the last few months or so of last season were, when injuries and recalls had decimated us. As I have also stated, I don’t see the point in getting rid of Lee Clark if there is no-one who will obviously do a much better job WHO IS WILLING TO COME HERE. If such a candidate is obviously available, then by all means bring him in, but I have yet to see clear evidence that such a candidate exists so struggle to see why LC should be replaced by someone who is quite likely to fare little better and whilst we sit outside the relegation zone he is doing a decent enough job. If such a desire for proper and clear thinking planning rather than knee jerk decision making makes me what is referred to by the small minority of Blues fans who insist on playing divide and conquer as a “Clark apologist”, then so be it. I don’t see him as the man to take us forward when all the boardroom uncertainty above him is sorted out properly, but I honestly don’t think we could hope for much better than we are doing right now. There will always be the beguiled people who insist that Blues would fare far better if only they were in charge. I think many know the sort; the sort of eager beaver bloke who thinks that the fact that he coaches children once or twice a week means that he gains a greater tactical insight than a manager (and anyone else for that matter). The sort that sees Louis van Gaal deploying 3-5-2 at the World Cup and automatically insists that anyone who doesn’t advocate said formation is some kind of tactical Neanderthal, despite not really having a clue themselves about the nuances of that system (or quite probably any other). I must stress at this point that I have made no personal target with the description above. But there are people who may be not too dissimilar to those descriptors, who insist (and smother anyone else’s contrasting opinions) that we are ‘underperforming’. Are we? Blues, by all accounts, have the lowest wage outlay in the division bar Blackpool, and our squad (in terms of transfer fees) cost just over £100,000; should it be any surprise we are near the bottom of the league? In terms of teams that are underperforming in terms of their current league position compared to what their outlay is on players, Wigan are underperforming and so are Bolton, Fulham and Cardiff. Are Blues? No, I don’t think so. There were some who were hoping for a defeat at Millwall; why? Because they wanted Lee Clark out. If they don’t think LC is the man for the job, then fair enough (as I said, in a more prosperous, longer term I don’t think he has what it takes to manage a club like Blues) but why would anyone want us to lose a game in the hope that we sack the manager? We are desperate for points. What are people going to do, keep their fingers crossed week in week out that we lose in the hope that Clark may then be sacked? The thinking seems perverse to me; if we do end up going down this season, it will be these sorts of people who deserve it in my opinion. At the start of the season, I looked at our opening fixtures and I feared the worst. Two losing play-off semi-finalists, two relegated sides and two other teams fancied to make a promotion push, alongside the general mish mash of unpredictable sides you get in this league; I thought we could already be cut adrift at the bottom, in a Blackpool sort of position by now. We aren’t. In fact we now have some winnable looking fixtures in the next month or so – I am hopeful that by the end of October we can have at least five or six more points on the board. Saturday will be a tough test; Charlton are the last undefeated team in the division, so I think taking a draw from the Valley will be a more than reasonable result. After the shambolic collapse vs. Fulham, the players could have rolled over at somewhere as terse as Millwall, but they didn’t. It wasn’t always pretty and not always comfortable, but they did get that much needed win. That suggests to me that people who say that they have stopped playing for the manager/the shirt/the fans/the club are wide of the mark. I just hope we can take those battling qualities back to South London for the second time in a week on Saturday. b) would rather get paid the little we can offer than get paid absolutely nothing when they are OUT OF WORK. This job is no lose for any out of work manager out there. If they do a crap job, then everyone will acknowledge they had their hands tied and an average to poor squad. If however they can perform well and maybe even get us winning a few games and push us up to comfortable midtable obscurity then they will be recognised as doing a great job – and probably leave as soon as a better paid more secure option comes along (see C.Hughton). Its a no lose opportunity. “WHO IS WILLING TO COME HERE” – did anyone honestly believe Edgar Davids would go to Barnet, play for them and manage them? No, but he did didn’t he. Did he get loads of money to spend on top class players? No he didn’t – but he went didn’t he and he had a go. That was Barnet. That was Barnet and Edgar Davids. THE Edgar Davids. Look at Nigel Worthington. Successful at Norwich, did a decent job for Northern Ireland. A manager with championship, premier league and international experience. He was out of work and took the job at YORK CITY. Did he get loads of money to spend on top class players? No he didn’t – but he went didn’t he and he had a go. I could go on. There are tons of managers who work with little or no money, but wheel and deal and do ok. Yes, they arent going to win the league with freebies and loans, but they cope and they make the best of what they’ve got. All the talk about black managers not getting a chance to manager a club. Well here’s one! Would they ALL turn the opportunity down – when apparently most clubs aren’t even interviewing them? So this incredibly lazy “no one will want to come” idea is complete and utter nonesense. Will those interested be any better than Lee Clark? We simply do not know. They may well not be. But to suggest no one will be interested is lazy and ridiculous when the market has not been tested. So those people who are unappy with the continued poor performances and lack of any change or limited progress in 3 years under LC should “deserve” it rather than those who are simply willing to turn a blind eye accept the constant dross LC serves up week after week because he, undoubtedly, has it tough financially? Cracking logic. Let’s just all accept rubbish then. With little or no money, maybe LC could have acknowledged those limitations and adopted a different strategy. Make us defensive, horrible, ugly and difficult to beat. Horrible to watch, yes, but given our circumstances and the understanding of, I think, every supporter that actually we just need to survive in this league each year maybe for a little while we would have accepted that? Pains me to say it, but we could have done a “Stoke”. A championship version of Stoke. But he hasn’t has he, he is still trying to do the things and play the way he couldnt do with much better players (than now) in his first year and slightly better players (than now) in his second year – and funnily enough, we’re still crap. If you recall the comments of the huddesfield supporters when he took over here, they told us he was crap and the mistakes he made with them he repeats with us (remember that picture/cartoon match report they did in the game at stans). It appears that he does not learn from his mistakes. He evidently didnt learn from his mistakes with Huddersfield and he hasn’t learnt from his mistakes with us. For the record, I don’t have the answers as to how to solve those mistakes, I am not a football manager and I do not profess to be one – but there are other actual football managers who might just have the answer. Might just have a different idea. Might just have a strategy to make us more difficult to bear. We all absolutely understand that he has a very tough job – a position that has solely been created by the inept (and that is being being very polite) chinese owners. I dont think any one thinks we should be challenging for the play offs or above, but other teams with little or no money manage to achieve midtable obscurity (bournemouth, huddersfield, wednesday were all hardly big spenders last year). Clark has tried his best, of that I’m sure, but it is simply not working. Whatever way you look at it, it simply isn’t working and maybe, just maybe, someone else might be able to do a better job with these limited resources?? But you bury your head in the sand and lets keep plodding on, accepting the crap he serves up every week “because you’re blues and thats what we do”. Well this bluenose (season ticket holder for 17 years by the way) isn’t prepared to accept it. I’m sick of it and would gladly drive him back to the East end of Newcastle, with a “thanks very much for trying, but it didnt work out” card in my back pocket. That was to do with people who actually wanted us to LOSE on Tuesday, just to get the manager out. To me, that is perverse. This is the Bournemouth who have spent at least two £1mil+ transfer fees as well as biggish (well bigger than LC has been able to offer in recent times) wages on numerous players since they came up, the Huddersfield who have a strike force worth around £4mil in terms of transfer fees paid for them and the Wednesday who whilst not exactly breaking the bank would easily have outspent us in the last couple of years or so. We are in the financial shadow of these teams; the only team we can say we are definitely outspending is Blackpool, and that isn’t exactly saying much. You say that these proven managers would possibly come even under the constraints they would have to work under with little financial renumeration – I would suggest to you that if they did, they would have made themselves available at some point through the discreet sort of channels that football deals are so often instigated through and something may have been done. This may sound a bit ITKish, but I know of a manager who was sacked from a high end Championship club last season and was pretty much straight away sounded out for the Blues job, and he turned it down flat – he is now working in League One, but would rather work at a League One club than in the Championship with us. That speaks volumes. The question I would ask you is; what did you expect this season? I expected us to be scrapping against the drop, and that is exactly what we are doing. As I said in my article, I don’t think we are underperforming this season. If I am right, why should we be so desperate to change the manager? I agree with you – I absolutely expect us to be scrapping against the drop but that is due to Lee Clark, because with better squads in the past two seasons he’s had us scrapping against the drop, so it follows that with an even worse squad he’s only going to do the same. However, what I do think is that another manager may be able to make us into a more difficult to beat team or be able to get more out of our squad. I dont think if we got Mourinho he could get us into the play offs because the players are simply not good enough, but I think someone with different ideas, different techniques may be able to set us up better and get us into midtable. If we use your logic, “I thought we’d be crap and we are, so there’s no point in anyone else trying” – then Crystal Palace employing Tony Pulis would have been pointless. They were dead and buried, everyone knew that because their players, in the context of the premier league, were not good enough. However, Pulis employed different techniques, set them up differently and changed things round. Now no one expected him to be able to get them into the champions league spots with crap players (again, in the context of the premiership) but he got them comfortably safe. We can also use charlton as an example last season – dead and buried, but a change of manager and look at them now. Just because one manager can’t do it (and he very obviously, with 3 different squads cant) doesn’t mean anyone else couldn’t either – and that’s the bit I don’t understand in your defence of him. If he was going through a rough patch and we had fickle villa-like people shouting for his head after a few bad games, I’d be right by you – you have to support the manager through the tough times too. However, Clark has only ever been crap. He’s had a tough job yes, but made it tougher himself year on year – I still shudder at the blackburn 5 out of position fiasco. We all joke about the Lee Clark bingo machine selection policy. So whilst we all should support the team through thick and thin, I believe we actually have, but through thin and thinner – and sooner or later you have to accept that he is, unfortunately, incapable and someone, somewhere might be able to do better. A) How do you know they haven’t? You have one example, but there are tons of managers out there who may be interested. With the well publicised issues with lack of people on the ground in Birmingham, who would you expect them to “discretely” contact? Panos P is now in situ, but prior to him what would they do – write to “Carson Yeung, c/o Hong Kong Prison System, re: Interest in non existent job”. Some people are (wrongly in my opinion) calling for Johnno to be appointed with Grainger/Devlin as his assistants. The endless painful retweets on twitter indicate that there’s one person who would take it. Would he do any good? I don’t know, but for your 1 person who didnt fancy it, I give you 1 person who appears to definitely fancy it – and even has his back room team ready! B) Do you ring up every competitor company in your chosen profession and say “look, I know you have someone already doing a job there, but I’d like a go because I think they could do better, so could you sack them for me please and give me the job?” – or do you wait for a job to come up then fire in your CV on day one?. Finally I totally agree that anyone wanting blues to lose is mental, 100% with you there. I want him to go, but was delighted we got another 3 points, becuase if he doesn’t go, we’ll bloody need it. You keep talking about revitalised teams who changed their manager when ‘dead and buried’; that doesn’t apply to us does it? We are 20th, two places and three points off the bottom three after two months. That isn’t what I call dead and buried, and I do honestly believe that whoever is in charge come May the team as it is won’t be much higher than it is now. That’s the whole point though isn’t it; the squad of players he’s been working with has been ever changing ever since he arrived, and I don’t think that can be really put down to him. The fact that constant changing has basically been us constantly seeing our better players leave and seeing them replaced by much cheaper ones is, in my opinion, the single biggest reason why we have slid down the league of the past couple of years. You perhaps have a point, but we have been able to do a ton of transfer deals discreetly since Carson’s troubles started, so there must be someone making decisions whether they be on the ground in Brum, in the Far East or in NeverNeverLand – why couldn’t an out of work manager or his representative make representations to that person like so many players and their representatives must have? Another good question, but football is the sort of business where people do tout themselves for the jobs of others – look how many managers are sacked and then immediately replaced by someone else. Just out of interest, following the comments above, I wondered what your thoughts were on the comment in today’s mail from Tattum that the club have been “inundated with applicants for the job” ? Firstly History did repeat it self we won at Millwall. Saturday will be a bigger marker as we have won their twice in about 40 years. I have reason to believe that Blues have enquired about the availability of other managers. One doesn’t have to be a genius to work out who and what the answer was.